General Francisco "Pancho" Villa statue in Palomas, Chihuahua, Mexico. When last I wrote, I was in Benson, AZ planning an overnight hike in Saguaro National Park. I set up and checked out my tent, prepared my food, and packed my pack. 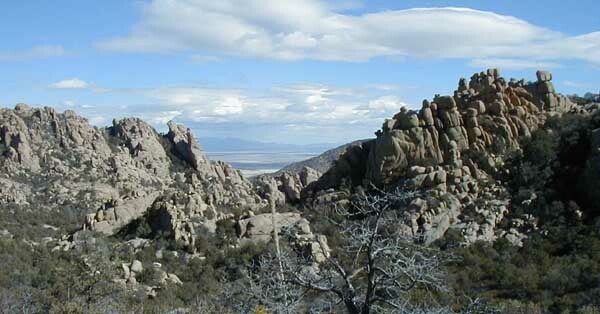 But I met a hiker who suggested I try Cochise Stronghold instead. It sounded like a good idea to me, so the next morning I drove to the stronghold (rugged mountains where the Indian chief Cochise had eluded his pursuers and where he is reputed to be buried). It turned out that camping was not allowed outside of the drive-in campground, so my planned overnight became a day hike through mountain country loaded with boulders that seemed to be balanced precariously. I soon moved on to Deming, NM where I stayed in the SKP Dream Catcher RV Park. Days were mostly overcast with some rain showers, and the nights were cold. Cold winds several days discouraged me from doing much walking. My time in Deming was spent mostly doing maintenance. I did some work on the trailer electrical system, then washed and vacuumed both truck and trailer. I visited the Mimbres Museum for a lecture by Harry Truman (Impersonated by a University of New Mexico Professor) talking about his life and the decisions he faced as president. I spent a day reading in the Deming library. I located a dentist across the border in Palomas, Chihuahua, Mexico and paid him a visit to have my teeth cleaned. I parked on the US side and walked across the border expecting a rigorous ID process but walked into Mexico without being stopped at all, and on returning, was asked only what I was bringing into the US. I was never even asked my name or nationality, much less asked for any ID. Some miles inside the US I was stopped at a check point and asked where I was born. That was it. The dentist cleaned my teeth, suggested that I needed 5 caps at $125 each, and charged $20 for the cleaning. Yesterday (Thursday the 28th) I moved on to El Paso, TX settled in an RV Park near the airport, then checked out the other parks in town. 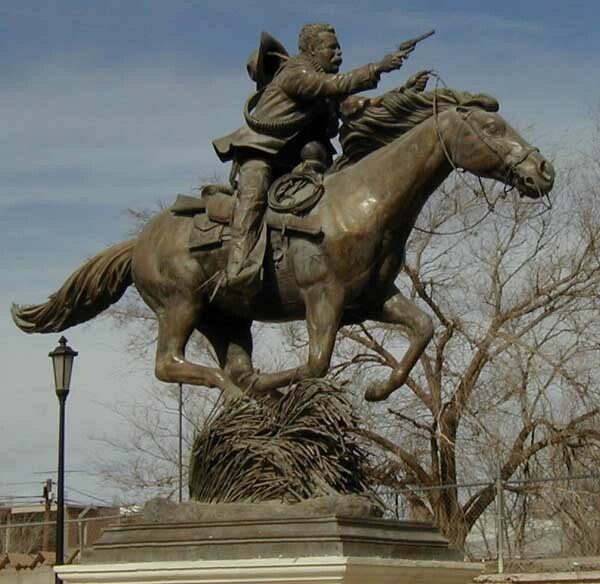 Today I will move to the Mission RV Park which I believe is the nicest park in El Paso, then this afternoon, I will pick up Rita who is flying in to spend a few days with me exploring the El Paso area. I'm looking forward to her visit. From El Paso, I plan to head to Guadalupe Mountains National Park, and climb Guadalupe Peak, the high point of Texas. I climbed Mt Whitney, CA several years ago. I was turned around by high wind on Boundary Peak, NV in early November. I chose not to attempt Humphreys Peak, AZ or Wheeler Peak, NM (too far north and too high - both are over 12,000 feet - for this late in the season). So I'm hoping to bag my first high point of the trip in Texas.